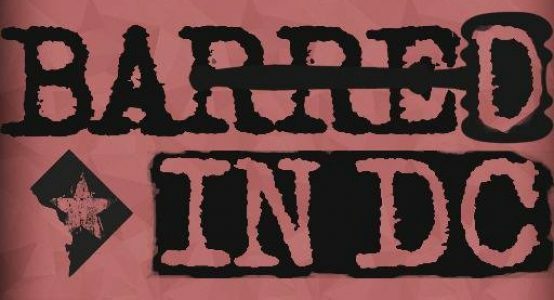 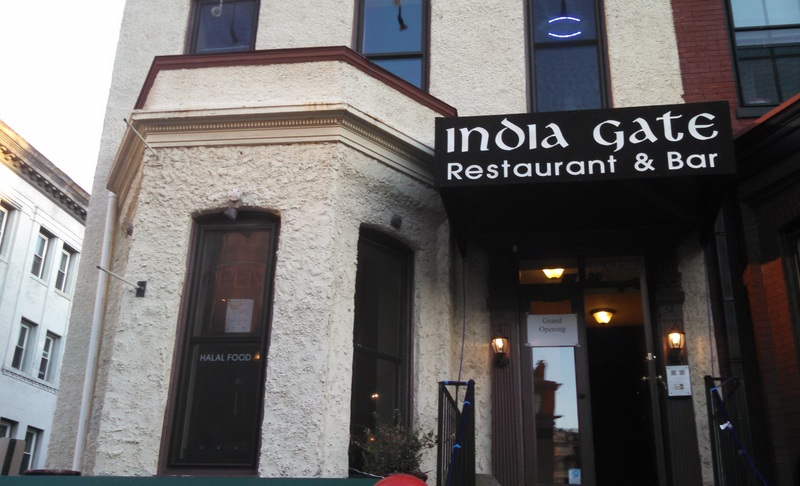 India Gate Restaurant & Bar, 2020 P St, 202-293-1555, opens at 10:30a everyday, closes at 11:30p weekdays, midnight on weekends, est. 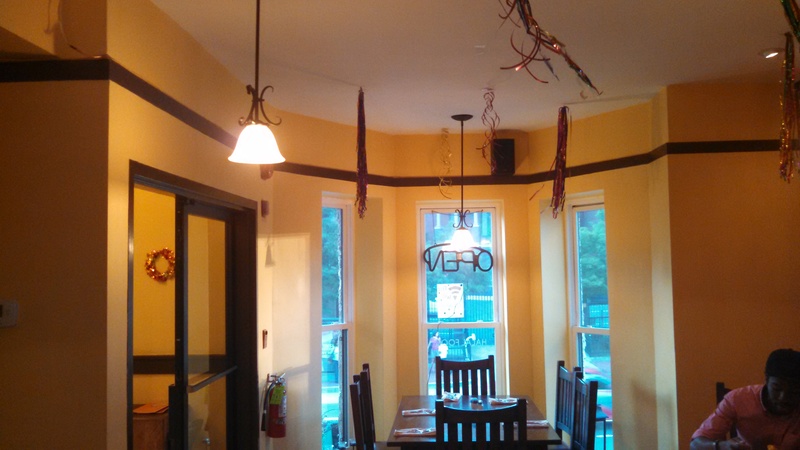 2014 [Eater, PoPville], owned and operated by a longtime former cook from the DC mainstay Bombay Club, opened last Wednesday in Dupont. 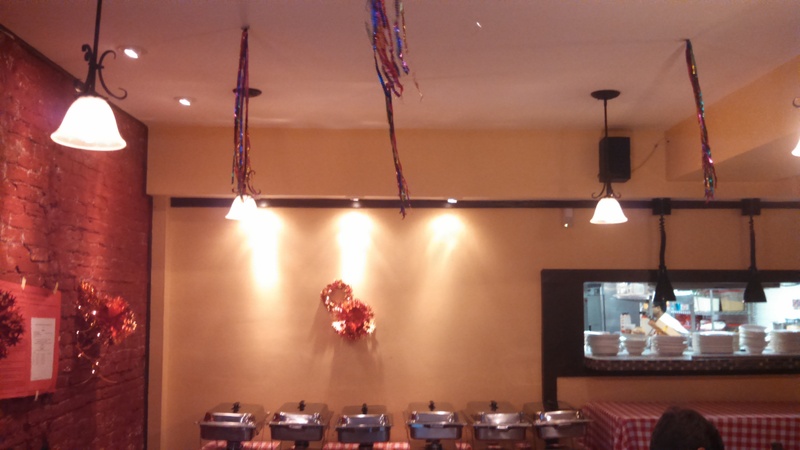 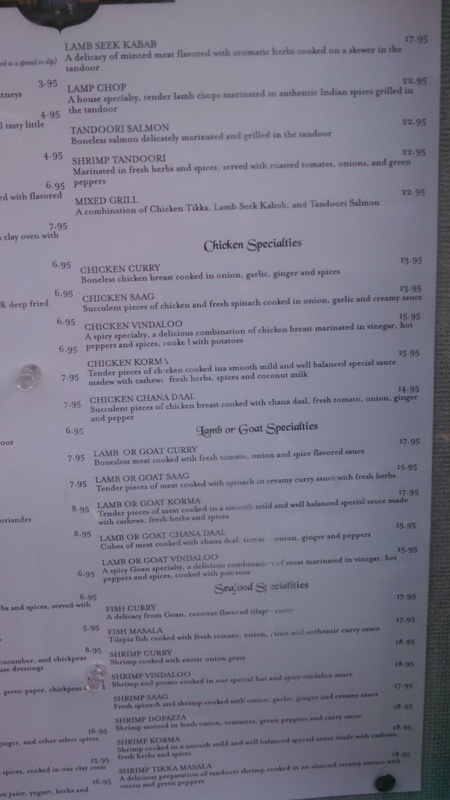 This new Indian restaurant, spread over a comfortable bi-level space, most recently occupied by Eola, serves excellent reasonably-priced Indian (halal) food (most entrees $13-17) for lunch and dinner daily until late. 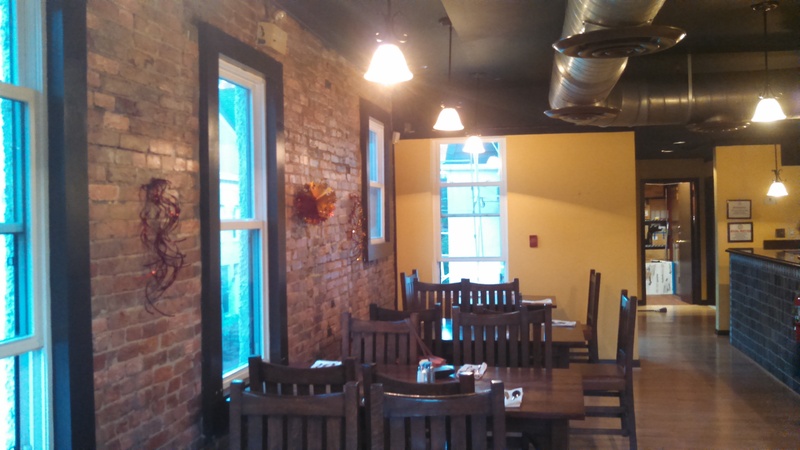 A liquor license should be forthcoming any day now, and both delivery and carryout will be offered.